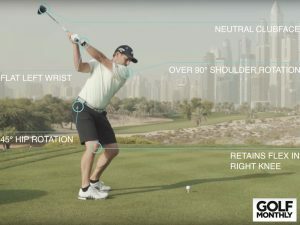 Mark’s swing comes from inside the ball quite a bit, so most of his shots start slightly right of target and he either hangs them out there to the right, or his hands get quite active and he turns it right-to-left, sometimes missing the target left. 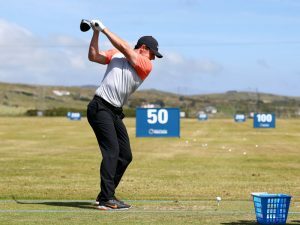 We spoke about trying to get a bit more width to his swing to give him a bit more time to hit the ball. 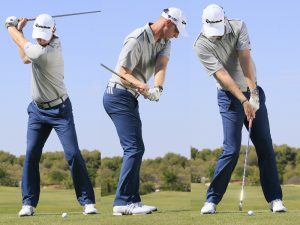 When he took the club back the face was quite closed, so we tried to neutralise that and the position halfway back on the backswing to see if he could hinge his wrists up a little bit more. 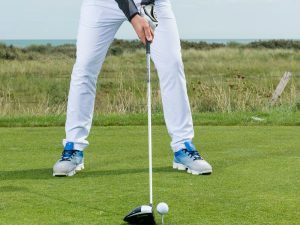 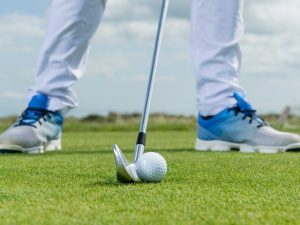 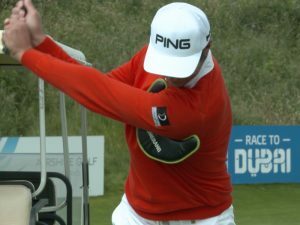 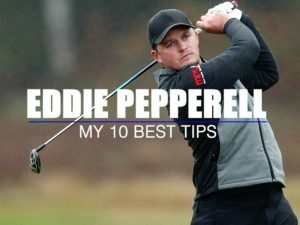 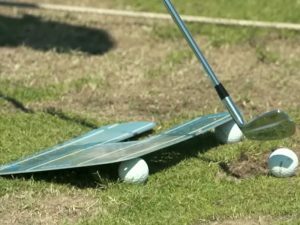 He hit a few balls with his new movement, taking the club away first as part of a pre-shot routine so he could get the feeling of what he was trying to do in his actual golf swing. 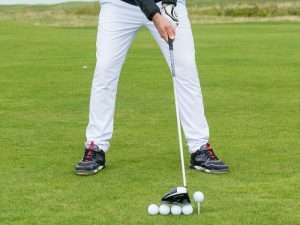 It was working really nicely – he was getting the ball on line more. 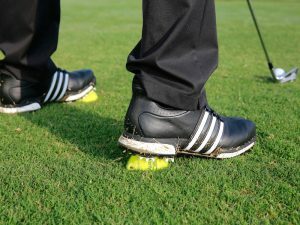 So he can use that as a practice drill going forwards. 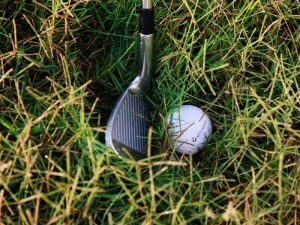 Mark keeps a lot of statistics and has noticed that he misses greens quite often. 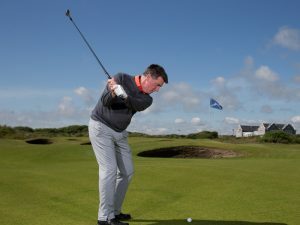 I suggested he should aim for a specific safe part of the green initially – not necessarily going after flags on the edges – until he gains better control of his approach shots by using his body to turn on to the ball rather than flicking it with his hands. 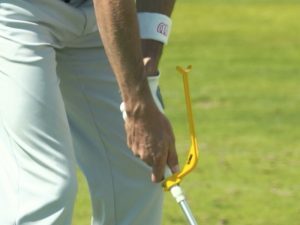 With his new clubs and the changes we’ve made to his technique, I think Mark could save four or five shots a round, and I’d be surprised if he doesn’t see a handicap reduction this year.